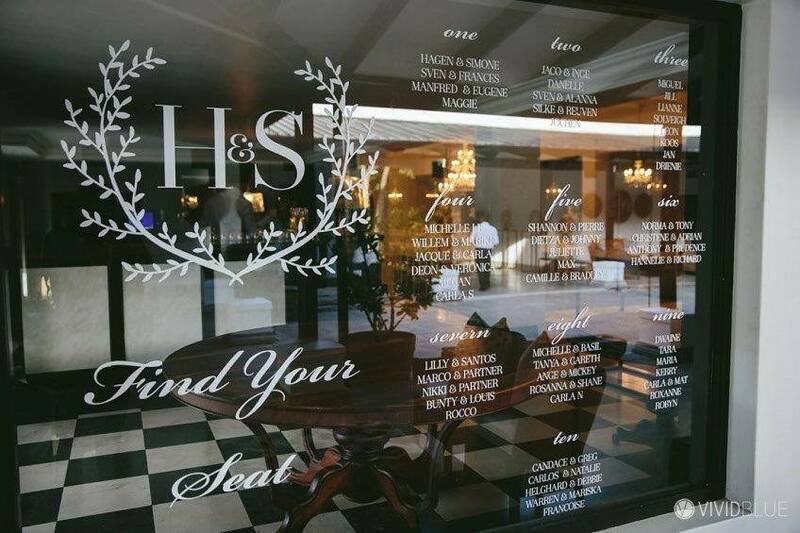 As a Cape Town Wedding Planner, making sure that we have created a seating chart that is unique, gorgeous, and makes a “WOW” statement at a wedding is imperative to the overall experience of entering the reception area, as it is usually the first thing that guests will see as they arrive. 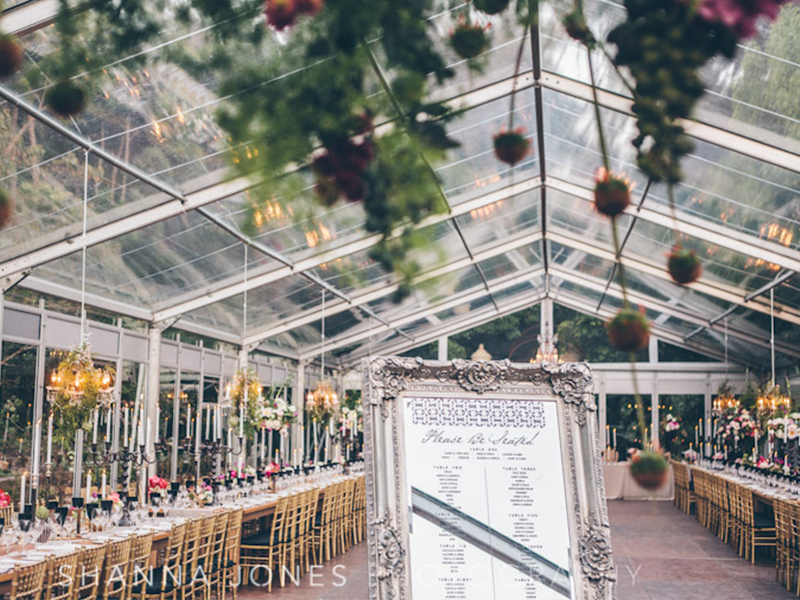 From years of experience as a Cape Town wedding planner, I’ve learnt that a great seating chart is clear, easy to understand, but most of all, memorable. So here are a few of the stunning and original seating charts from our own weddings that have stood out in my own memory. This seating chart from Sarah and Marcel’s wedding at Boschendal was printed on mounted canvass and displayed on an easel. 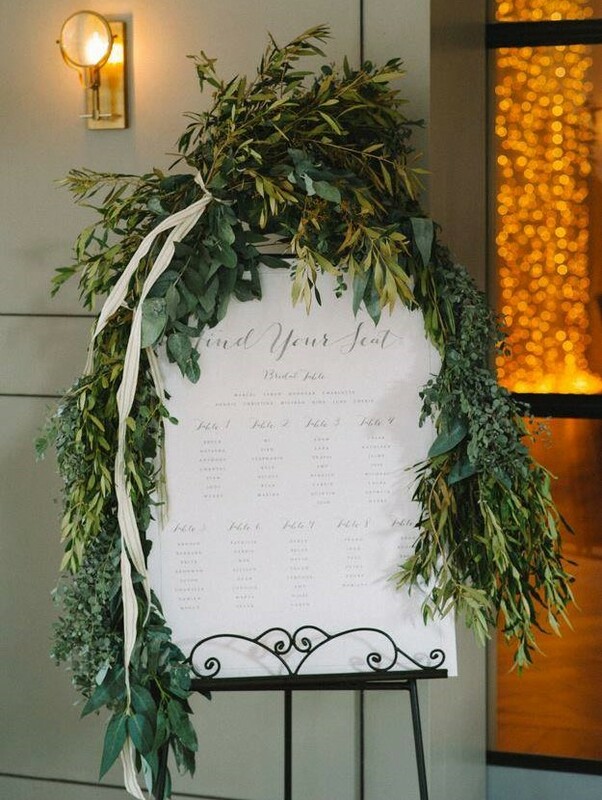 What gave this seating chart the “WOW factor” was that it was elegantly draped with greenery, and highlighted with a backdrop of fairy lights from inside in the venue. This luxurious seating chart was created for Toni and Mark’s wedding with a vinyl sticker of the seating layout placed on top of a mirror in an ornate silver frame, by Secret Diary. 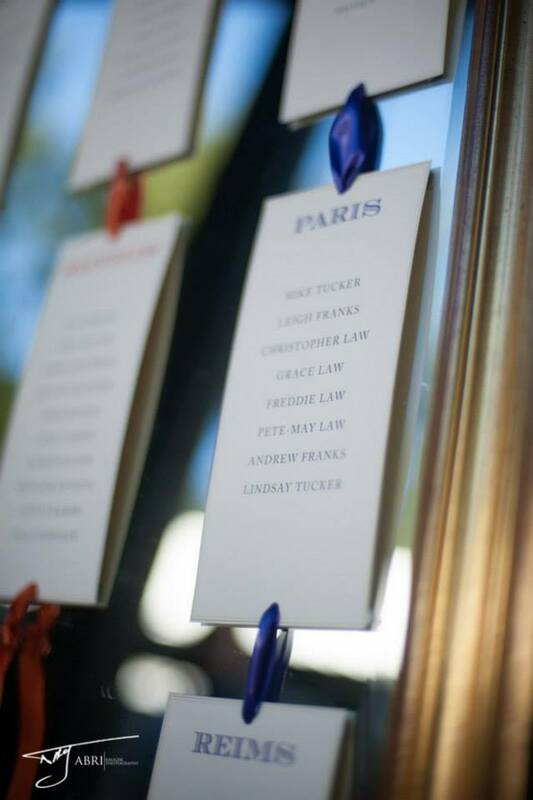 The seating chart was displayed on an easel at the entrance of the reception marquee. 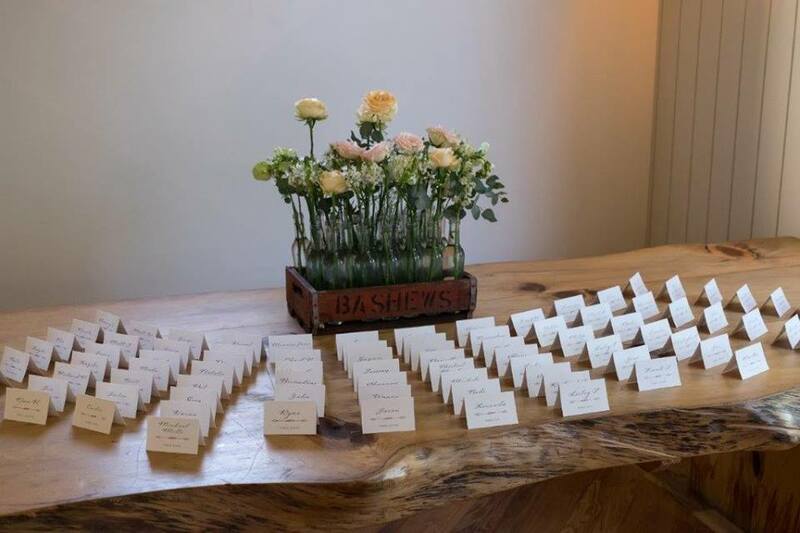 This sweet display at Dorethy and Michael’s wedding at Boschendal consisted of tented name cards, created by Secret Diary, beautifully displayed around a flower arrangement on a stunning oversized wooden table. Once each guest found their name card, their table number was indicated on the back. This special seating chart, from my own wedding (Nicci and Wayne’s wedding at Groot Constantia), was created by myself with laser cut bunting flags from Secret Diary, connected by a string of ribbon and mounted in a frame with a lilac fabric backing. 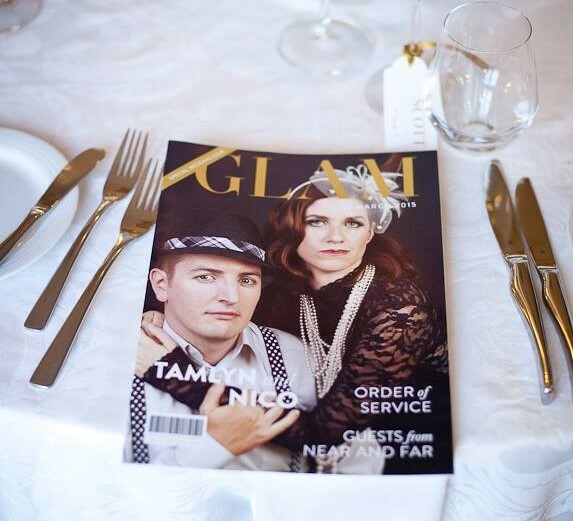 We absolutely loved this fabulously unique idea at Tamlyn and Nico’s wedding at Grande Roche, as the seating chart was placed as an “article” in the couple’s wedding magazine which contained all the information guests needed for the wedding day, along with great pictures of the couple dressed in the weddings 1950’s gold theme. 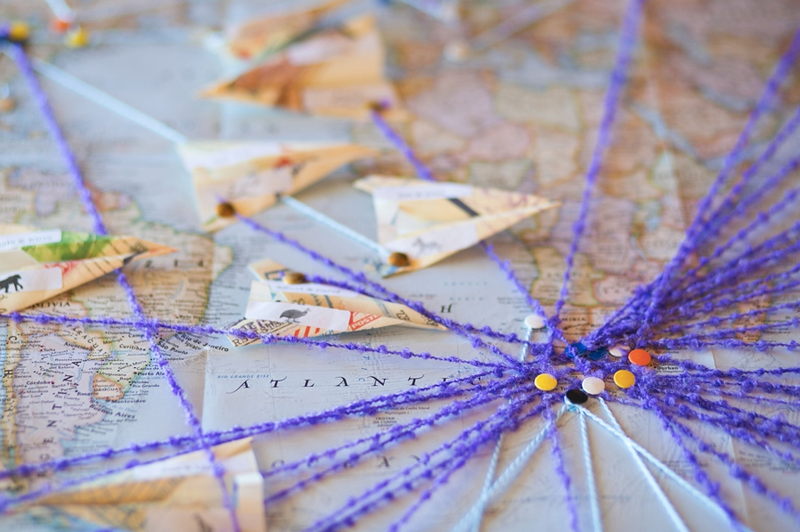 Guests at Sarah and James’ wedding came from all corners of the globe to celebrate with them at their Cape Town wedding, so this intricately detailed seating chart was created for guests to find their name on an airplane on this world map, and then follow the connected string to find out what table they were seated at. The seating chart at Simone and Hagen’s wedding at Molenvliet was a genius use of a large window space, as a large vinyl sticker was custom made to fit the window and applied on the glass for guests to find their table allocations. The seating chart from Carla and Ryan’s wedding at Molenvliet was simple, yet effective. Each table was represented on a card, which was hung up on ribbon with a framed mirror backing, with each card and ribbon chosen in the wedding colours. I hope these unique and creative seating charts have served as some inspiration for your own wedding. All in a day’s work for a Cape Town wedding planner!